So, if you are thinking about new cabinets you probably want to tell the difference of one to another in quality of construction and what you are getting for your money. You might think a contractor or salesperson at any place that sells cabinets can educate you about one versus another. If so, you would be wrong. Probably 75% of contractors hardly know more than the most basic information about cabinetry, and salespeople at a lot of vendors where you can buy a cabinet know little about their goods. This can't tell you everything, but you will be better informed in about the next three minutes. Aren't all cabinets and cabinet lines pretty much the same since they serve the same purpose? Not hardly. Think there is a difference between a cheap rental apartment and a multi-million dollar mansion? You have about an equivalent range in cabinetry. The first thing you need to decide is the approximate quality level you want. As a rule of thumb, price points will follow quality. BUT you might be surprised at how relatively little difference there is in the overall cost of a job between cheap cabinets and good quality. Be straight-forward with the sales rep. If all you want are really cheap cabinets for a rental house, the rep should show you something that is meant for that. No need to waste time looking at really nice semi-custom cabinets if you don't intend to put in that level of quality. And vice versa. 1. What are the end panels made of, and how thick? 2. How are the drawer boxes constructed? 3. What kind of drawer glide hardware comes on it? Then, if comparing two different lines of cabinets, put two doors side by side and look at the finish. A lower-quality cabinet may have a similar color or look, but the difference in finish quality is often obvious. And years of use will make that difference only more obvious. What do the end panels tell me? The industry standard is a particle board end panel. Particle board is essentially compressed sawdust and glue. It is an inexpensive and reasonably good structural member AS LONG AS a) it doesn't get wet, and b) screws are put in once and never have to be re-set or have to "wiggle around" because of lateral stress over the years. Particle board, when wet, will puff up and crumble. Water from a leak will be sucked up like a sponge. And you may have experience with inexpensive particle board furniture where screw have wallowed out. Now, some manufacturers have gotten into being sly about showing a pretty facade, but junk underneath. We've been in houses in very nice and expensive neighborhoods where the homeowner wanted a new granite countertop on her "cherry cabinets." In fact, the doors and face frames were cherry and looked nice. However, when the old laminate top came off one could see the end panels were essentially 1/8" thick fiberboard of some kind, with "contact paper" on the ends to look like cherry. Due to poor construction and poor installation, the floor dipped about 1-1/2" from the wall to the front of the cabinet. The cabinets had been fastened to the wall with one screw, then the front pushed down and the laminate top put on to hide everything. The result was the side panels separating from the back panel. And the fiberboard was not about to support the weight of granite. As you can probably tell, we aren't big fans of those kinds of construction. Particle board is okay if you understand what you are getting. But we prefer a cabinet that either comes standard with a plywood end panel, or is upgraded to all wood construction. Plywood 1/2" to 3/4" thick make for more solid construction and an expected life measured in additional decades. And usually for very little extra cost. For drawers not expected to live hard or hold heavy loads, a wood or fiber box that has mortise and tenon construction, or "glued and stapled or nailed" boxes, will be the baseline. For better quality, longer life, and heavier loads, look for the distinctive "dovetail joint" on the boxes, or ask if it is available as an upgrade. If the sales rep can't show or tell you about this, time to go someplace else. Lower quality/priced drawers will usually have metal glides with nylon rollers. A look at the glides will give you a quick idea of how good they are. Flimsy glides will quickly lead to trouble in proper closing. Soft-close hardware is usually available. Ask if it is standard or an upgrade. Again, better quality cabinets will have heavier duty glides and may be full-extension on the drawers instead of 1/2 or 3/4 extension. What's a frameless cabinet versus framed? Frameless is also sometimes referred to as "Euro-style" as the construction and look is much more popular there. Essentially, there is no front face frame, just three sides, and the doors are hinged into the sides. Frameless cabinets are often made of laminate and you may think of them as "industrial" or "commercial" looking. Having only three sides decreases the structural stability. And hard use of the doors can result in wallowing out of hinges, which can pretty much kill the life of the cabinet. Framed cabinets have the fourth side, i.e., the front where the door is hinged. You will see some frace frame or stiles with framed cabinets. Structurally they tend to be stronger, in general. What is a "standard overlay" versus a "designer or full overlay?" The "overlay" refers to how much of the face frame shows when the door and/or drawer is shut. A standard overlay will usually revel quite a bit of the face frame and stiles, maybe 1-1/2" to 2-1/2". A full or designer overlay means larger doors and drawer fronts, with little of the face frame revealed. Exactly how much will differ cabinet to cabinet and manufacturer to manufacturer. What are typical differences in one brand to another? You can kind of think of them like autos. Each has multiple offerings, but they cover different segments of the market, kind of like Chevy versus Cadillac. What's the difference in stock vs. semi-custom vs. custom? Mostly differences are what is offered in terms of variety, quality of construction, and modifications. For example, Echelon is a good stock cabinet, with offerings from a good entry level to a very nice mid-range cabinet. But, like many stock lines, you kind of have "what you see is what you get." If you like a particular door in a particular color, great! But that door style may be offered in one, or a limited selection, of wood species. And only 4-5 colors. And modifications may be few or lilmited. While most brands have shapes and sizes to cover 70% of the situations, you might have a need for a particular type or size cabinet and they can't offer a solution. Semi-custom really opens up a lot of possibilities. You often start by picking out a door STYLE you like, then move on to picking wood species, then color and/or glaze and/or special finishes. Usually fine construction with a lot of features offered as standard, and many different configurations and modifications. Custom should mean the widest variety of modifications and finishes. Usually more costly, and if you don't really need those particular features a semi-custom cabinet may save money and be 90% or more of what the custom cabinet is. Dynasty is our semi-custom line, and Omega is the custom line. They are unique in being the same company and about 85% of the door styles and finishes are available in either. This means we can do a Dynasty semi-custom kitchen, but add one to five Omega cabinets if there is something unique where we need the full custom cabinet. That helps hold down cost. So "custom cabinets" always means fine quality? Well, no. Remeber we said manufacturers (and builders) have gotton sly? What "Custom" has come to represent is "a kitchen made just for this house." So let's say a particular cabinet needed to be 28-1/2" wide instead of a standard 27" and you didn't want to use a filler. Some places will build a cabinet to fit the 28-1/2" width and the builder or manufacturer says "This has a Custom Kitchen!" The cabinets might otherwise be cheap thermafoil or otherwise junk, but they can call it custom. Another example is a "custom" kitchen we saw a few years ago in a house where we did the floors, new construction. The kitchen was made to order for that house. Supposedly made by "fine craftsmen." Within a month of being installed every door was warped and every drawer had moved so that all of them rubbed and didn't close properly. Plus the stain application was unbelievably blotchy from the start. And the countertop was maybe the worst install we've seen on a job. So you need to dig a little deeper than just accepting "custom" as another word for "high quality." If the person doesn't talk to you about the details, but instead has a focus on "we'll be cheap(er)," a red flag should go up and you need to resolve that in your mind before proceeding. These are cabinets that come in a flat box and you put them together. Some try to be as good as possible, but the reality is you can't get a great cabinet from opening a box and having "easy fast assembly" by an unskilled person in 15 minutes. Often sold at deep discount stores or by internet, the advantages can be attractive facades at cheap prices. And some have decent finishes (maybe, see below), and some try to give you an all wood cabinet - just not put together. 1. You really don't know what you are buying till you open it up. 2. You still don't really know, because many are made in China or elsewhere and you don't really know what is in the finish. 3. The locking systems just aren't great, unless you do extra structrual work yourself, and that kind of defeats the purpose of cheap and easy assembly. Might as well buy a good cabinet to start with. 4. Often have broken pieces or missing pieces or scratches, and good luck trying to get all the replacements you need for an entire kitchen. In our opinion, you can do better by just looking for a decent stock cabinet. What are some other obvious differences that account for the price and quality of cabinets? The quality of finish should be readily obvious. 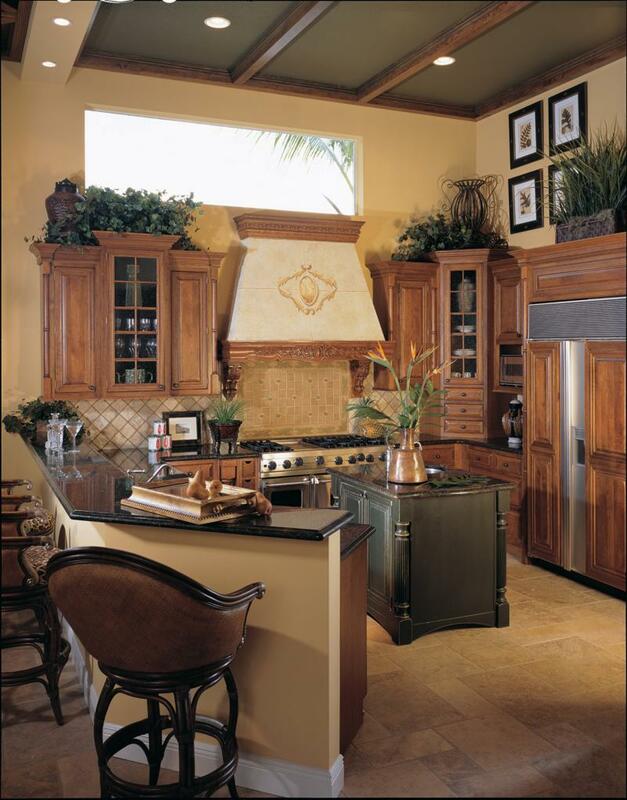 Nicer cabinets have a finish, which means more labor time and care, and subsequently usually a little higher price. Over the expected life of the cabinets, which can be 40+ years for fine quality, when coupled with structural and styling differences the cost may be miniscule versus selecting a poor quality piece. Also, the way boards and stain is matched in a cabinet can vary greatly. Some wood species blotch when stained. A lower price cabinet typically will not put great emphasis on minimizing blotchiness. If two pieces side by side vary, that's the way it is. There is nothing "wrong" with that, but if you don't want that variation, you need to pick a lilne that puts emphasis on matching pieces more closely to minimize variation. A good example is a lady who brought one of her brand-new cabinet doors. This was the first cabinet un-boxed. She loves natural oak grain and had selected a door from one of the low price lines one of the big box stores carries, specifically for the grayish-yellowish tone typically associated with natural white oak. This door was an overall pink tone, and individual boards went from yellowish to strong pinkish-red. While we couldn't tell for sure, it may have been a mix of red and white oak. In any case, the boards were certainly not remotely matched for color differences. This was probably not a "quality control" issue, but just a fact that the standards for a very low price cabinet were that whatever board was at hand got used in making the cabinet. So ultimately, if you don't know cabinetry, it helps to know a rep who can guide you to a good choice for you and your budget. You can e-mail us from the Contact Page, call us at 859-277-8383, or stop by the store at 1975 Harrodsburg Road, Lexington, KY 40503. That's almost at the intersection of Harrodsburg Road and Lane Allen Road, next door to Frisch's. Hours are M-F 10-5, Sat 10-3, or call for a private appointment.